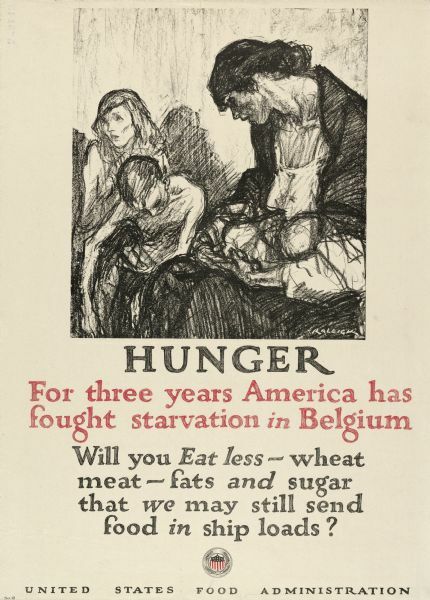 United States Food Administration World War I poster urging citizens to eat less meat, wheat, fats and sugar in order to help fight starvation in Belgium. The poster features a drawing of a woman and three children looking despondent. The artist who signed the poster is Raleigh.